Cars, RV's, Planes, Trains, anything made to move. 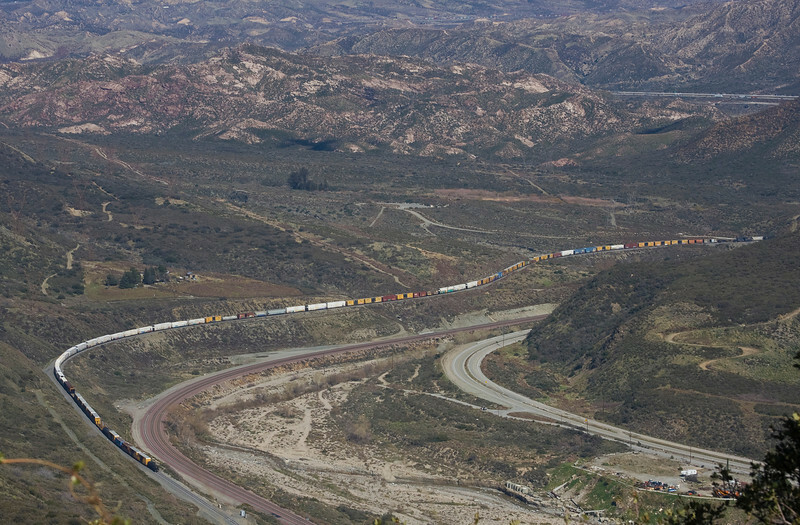 A Long train edging north toward Cajon Pass along Interstate 15 in southern California. February 8, 2010.